Steven and I love Thai food, our favourite restaurant being Chayophraya. So after having a think about dairy free meals I came to the conclusion that Thai is quite a safe bet? A lot of Thai cooking involves Coconut milk/ cream, which is even better than dairy right? We have been eating a lot of chicken recently so I decided to crack open the slow cooker, once more, and go for a beef curry. I have to say, It was really tasty and I actually winged the recipe- yep it’s a botch job that actually worked! add the beef into the slow cooker with a cup of water, the full lemongrass stem, the ginger and garlic. Leave this to slow cook on low for around 4-6 hours (until tender). Once the meat is almost ready remove the lemon grass. Then add in the red Thai curry paste, coconut milk, chilli, peppers, onion and broccoli. Allow to cook in the slow cook for another 30 minutes or until the broccoli is tender. Make sure you give the mix a good stir and serve with some Thai crackers and microwaveable coconut rice (the only quick part!). Please let me know if you have any dairy free recipes I can try out or some easy and quick treats. Wild Salmon Risotto- serves about 4.
wrap the salmon fillets in tin foil, season with salt and pepper and bake in the oven for 30 mins at 200 (or until cooked through). In a measuring jug, mix together the soy sauce, ginger, garlic, chopped chilli and the juice of all three limes. When the salmon is cooked, remove the foil and the skin. Flake into large chunks and pour in half of the sauce. Leave to marinate for 20 mins while you cook the rice. When the rice has boiled, drain and add in the salmon. Pour in the remaining sauce, mix and sprinkle with chives. When are the kids old enough for chores? When I was younger my siblings and I would need to carry out chores to ‘earn’ our pocket money. 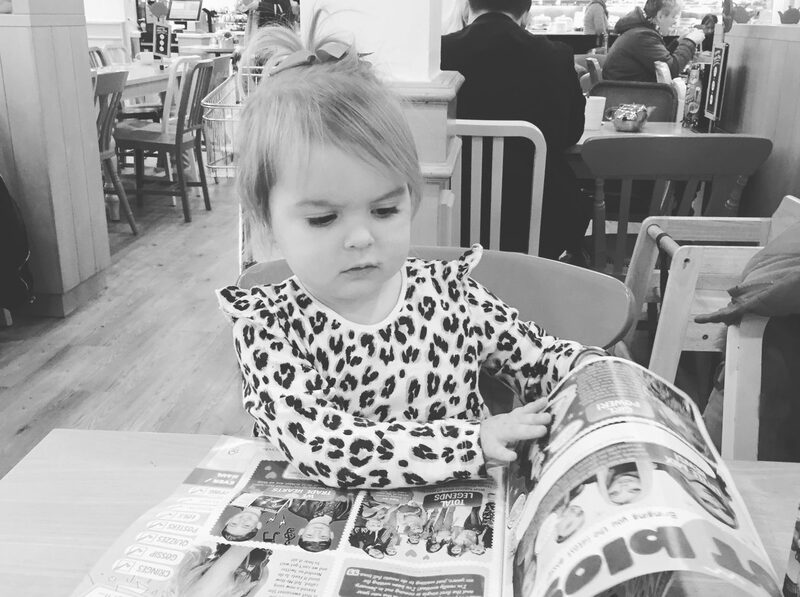 I know times have changed but it really got me thinking… am I denying my child the chance to develop basic skills for independence by doing all I do. My eldest child will soon be 8 so with this in mind and his love of money I have set up a jobs board in the house. Each job will come with a visible cash incentive. Im not talking change the light bulb or cook the family meal, just the basics to get by and contribute to the house hold. Allot of really OTT chores that I would never trust/ expect/ want my child to do at 8!!! This seems like loads, right? Well don’t panic, I’m not asking my child to do all these things at once. The chores are completely optional and ways in which he can earn a little extra pocket money. Its not about getting these jobs done its more about preparing him for the outside world and making sure he is a positive contributing partner/ member of society one day (something Im sure will be greatly appreciated!). Got any other chore ideas or tips, feel free to drop a comment? This is a delicious and really easy soup to make. Prep time is about 5 minutes and cook time is about 21 minutes. I use a soup maker machine, but a pressure cooker would work just as well. Rough chop the veg and add to the soup maker. Add in 1 cup of boiling water and the crumbled ham stock cubes. set for 21 minutes and relax. The soup maker cooks and blends on the ‘smooth’ setting. I served this with a loaf of crusty tiger bead!